What is it with Christmas and mice? We have a stack of Christmas books that all feature little mice so somehow I've come to associate them with the season. 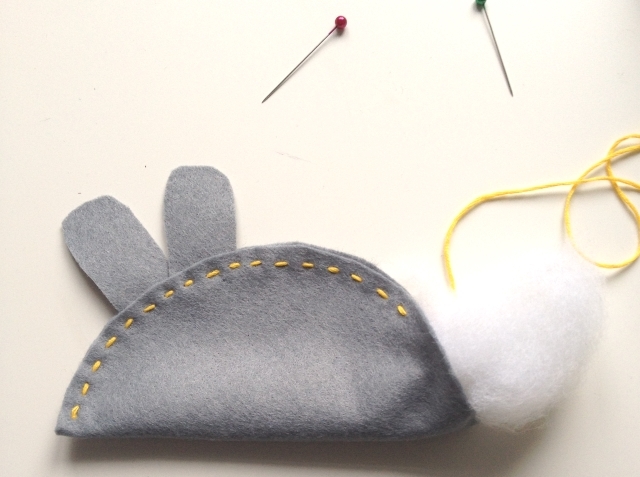 This year, I decided to make a Christmas mouse of my own. This little guy would make a sweet last minute stocking stuffer for a little one or you could turn him into a decoration instead. 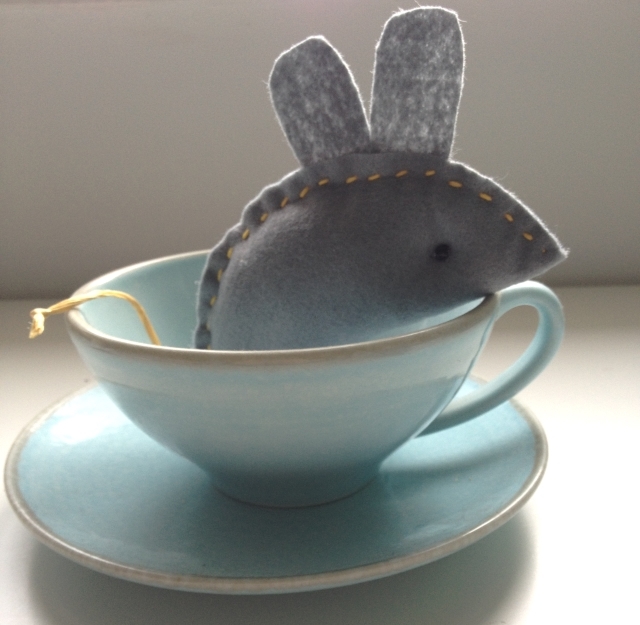 Or a pincushion... or add a pin to the back and you'd have a brooch - the possibilities are endless! 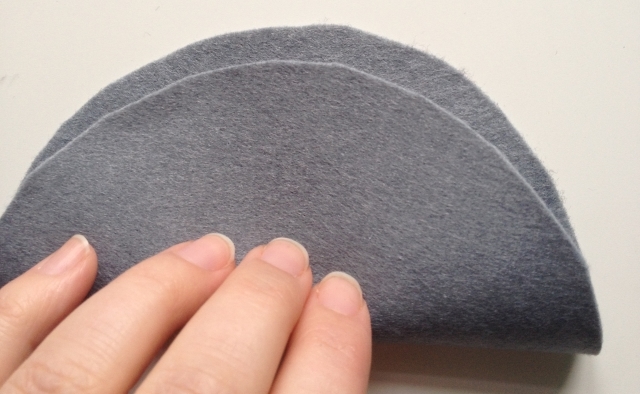 Cut a circle of felt and fold it in half. 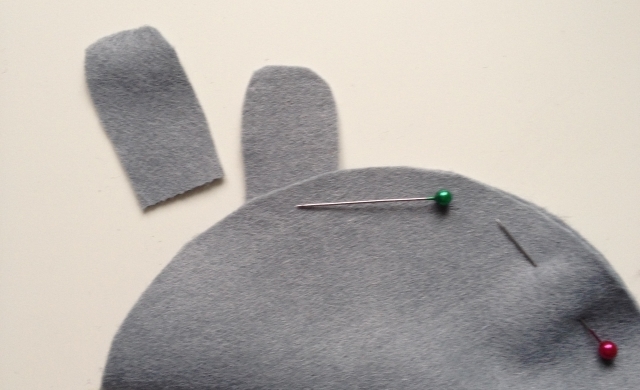 Cut two ear shapes from the felt too and pin them in place. 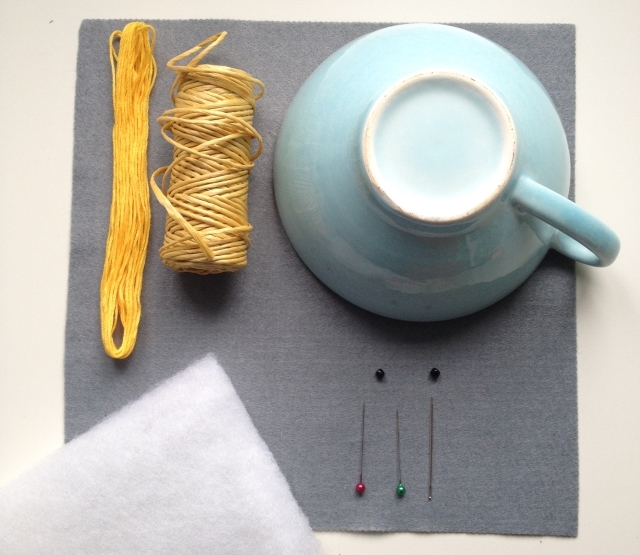 Stitch along the curve from 'nose' to 'tail', making sure to secure the ears as you go along. When you're nearly there, stop sewing and begin stuffing. When the mouse is nicely stuffed, insert the tail. 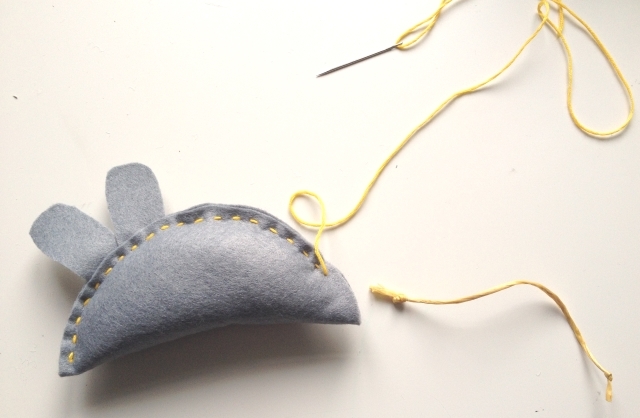 Tie a knot in each end of a piece of string and stitch one end into the mouse. The knot will help it not get pulled out too easily. Next add the eyes. Sew through from one side to the other to create and indentation and pull the thread nice and tight.